This year we will continue the tradition of highly entertaining live ice sculpture demonstrations during the 2019 Lambertville New Hope Winter Festival. Take time to come out and join us for an exciting performance entertainment for all ages. The Lambertville New Hope Winter Festival is proud to bring back our ice sculpture company, Ice Concepts of Hatfield, Pennsylvania, who did an amazing job last year. 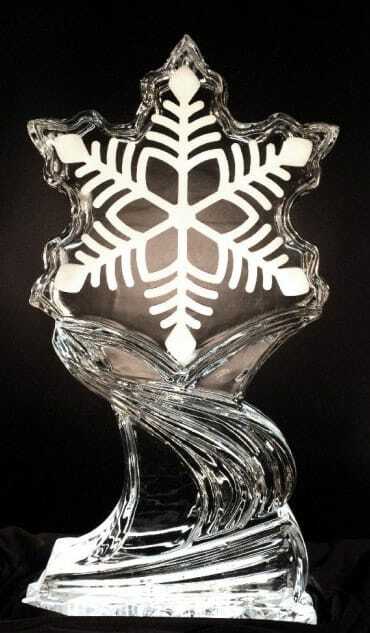 Since 1994, Ice Concepts has serviced the Delaware Valley with the finest quality of custom ice sculpture. Ice Concepts will provide Small Pre-Carved Ice Sculptures and Large Live Carved Ice Sculptures throughout both river towns helping to make our festival sparkle! Preview Ice Concepts at www.iceconceptsinc.com then book your Sculpture at right. Payment for Ice Sculpture can be made online below. Ice Carving Form should still be filled out and sent in. Show your spirit, support your community and bring people to your business. Reserve your ice sculpture for the 2019 Winter Festival today! Showcase your business with a unique and beautiful ice sculpture and be included in the Winter Festival official event website and event guidebook as a premiere ice sculpture location. To purchase an ice sculpture, complete an ice sculpture reservation form by downloading the form.